The Loewen StormForce window is the company's impact or hurricane window. The StormForce is essentially their standard wood clad window that is equipped with additional features and components that allow it to meet the international residential code as well as the Florida building code for coastal installation. Specifically, the window is built using structural upgrades, upgraded insulated glazing and laminated glass that work in conjunction to create an incredibly durable and strong window that can stand up to some pretty severe weather. The StormForce can be ordered as a picture window, a single or double hung, casement, awning or in a number of patio door configurations. The Loewen StormForce is one of the most expensive impact windows available. Inside, the window is really quite a thing of beauty, intricate craftsmanship, beautiful materials, and incredible wood interior options. On the exterior is a aluminum cladding that is quite strong and very well put together. The end result is a very expensive and very well-made hurricane window. Loewen is a Canadian based company, although they sell their windows in many states through local distributors and dealers. The StormForce come standard with a DP 85 rating, which is designed to withstand serious impact. The StormForce will deliver a .25 U Factor, .28 SHGC, and .02 Air Infiltration. The AI and DP ratings are particularly impressive and amongst the best in the industry. The Loewen StormForce window warranty is very similar to their standard warranty, which includes a 20 year warranty provision that extends to the frame, sash, insulated glass unit and most exterior paint options. 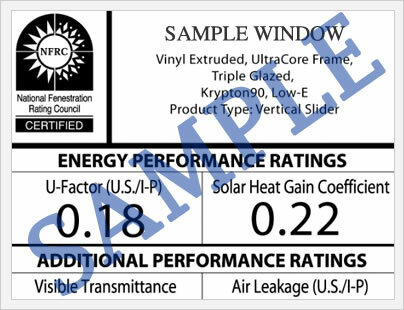 The laminated glass, which is the standard glass option for an impact window, carries a 5 year warranty from the date of purchase. Components such as hardware, hinges and locks are warranted for 10 years. 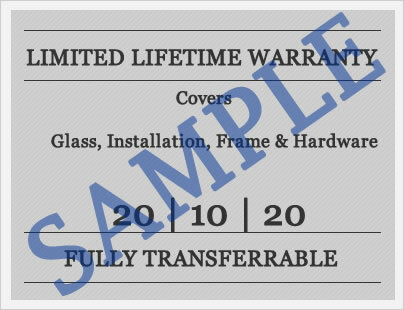 The Loewen warranty does contain some limitations and exclusions so please read the warranty in full prior to purchase. Do you have Loewen StormForce window reviews to share online? If so we would love to hear from you. Questions on any of the Loewen products, including the StormForce impact window? Our industry experts, John and Jim, are always available to answer any questions you may have.